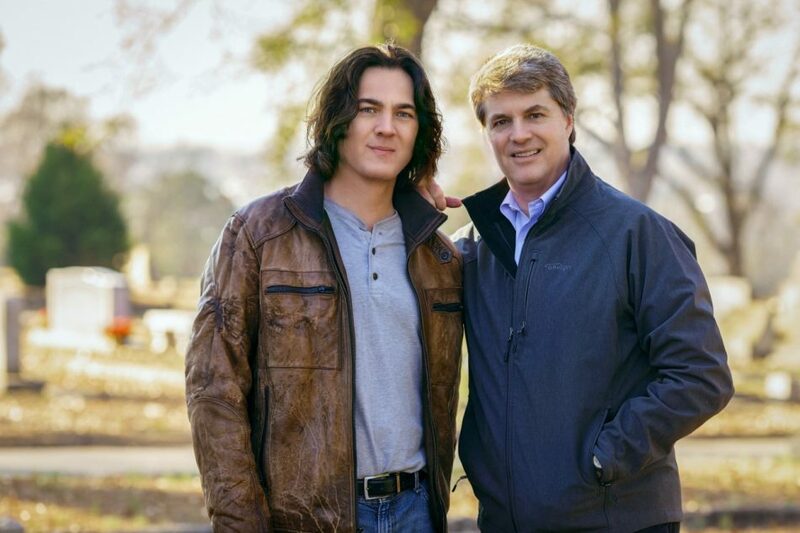 J. D. Barker and Dacre Stoker in Elmwood Cemetery, Columbia, SC, early January 2018. Picture: Dayna Barker. Note: Review based on uncorrected electronic proof. When I reviewed the first Dracula-related novel by Dacre Stoker (and Ian Holt), Dracula: The Un-Dead, I was somewhat disappointed. 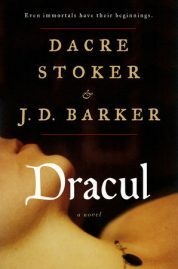 Although, if it had been a random Dracula sequel, it wasn’t too bad (if a bit too reliant on set pieces), as a “Stoker Estate” official sequel I found it overly flashy and more based on Hamilton Deane, the various movies and the book In Search of Dracula than the source book itself—especially in its over-reliance on the over-egged connection with Vlad Ţepeş but also through novel inaccuracies that it threw in. The fact that the lore was altered (and Bram Stoker, as a character in the book, blamed for the disconnect) I found somewhat bizarre if not a little disrespectful in an official sequel. As such I didn’t know what to expect from this but I am glad to report that Dacre Stoker, with his new literary partner, has overthrown the disquiet that the earlier book summoned within me to produce a prequel to his great-granduncle’s novel that was, quite simply, a very fine read. Bram Stoker is the central character and the authors pull on aspects of his life, including the mysterious debilitating childhood illness he suffered, and also details from Dracula’s Guest, Dracula and Stoker’s notes (and his jottings). With a neat connection to the Irish legend of the dearg-due and a plot that sees the origins of the novel imagined as events in the author’s life. We see him first, as a young man, trapped in a tower, threatened with an external vampiric presence and writing down the moments of his life that led to that point (we also get some of his siblings’ letters and memoires added through the novel’s length). When it comes to lore the authors have embraced much of the original novel lore—including aspects in the notes that never made the final novel cut, such as the inability of a painter to paint the vampire accurately (connected, of course, with the extant reflection lore). They also create their own lore within the novel—Dracul may have been a student of the Scholomance but the dearg-due has their own origin story and (in a logical move forward from the original novel’s lore) dismemberment of a vampire may not be the end—should the heart be intact. Rather than fill the book with extravagant set pieces, which in the case of Dracula: The Un-Dead I felt was nothing more than writing the novel for conversion to the big screen, we get properly built characters that we actually care about. That’s not to say that this is entirely character driven, there are some impressive vampiric/supernatural moments, as well as a set piece in a village of the damned, which are extremely satisfying. However, by making the characters the centre-point the authors show a care for the actual literary merits of the book and a respect for the historical persons behind the characters. Importantly, Dracul himself is then drawn as a shadowy presence through the prose, stepping briefly out of the shadows before wrapping himself once more in their darkness—absolutely as he should be. This is a very worthwhile volume and a great read. 8.5 out of 10. Dracul is available for pre-order in hardback, paperback and digital version through Amazon, Barnes & Noble, Books-A-Million and various other outlets. Follow Dacre Stoker on Twitter for updates, reviews and book tour information: https://twitter.com/dacrestoker. 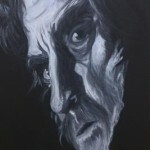 You can also visit J. D. Barker’s website for more information on his work: http://jdbarker.com/. And last, but not least, read Andy’s review of Dracula: The Un-Dead here: http://taliesinttlg.blogspot.com/2009/09/dracula-un-dead-review.html.